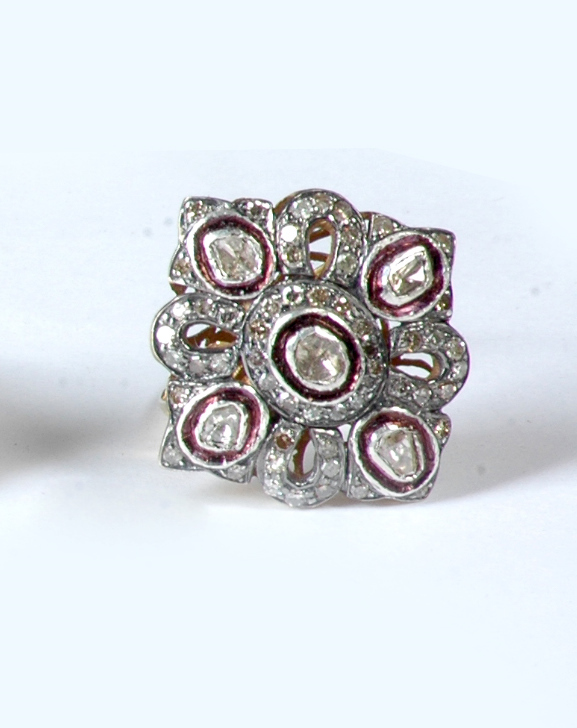 antique rings now is a exciting blend of traditional and trend where is silver is oxydised to give an antique look. 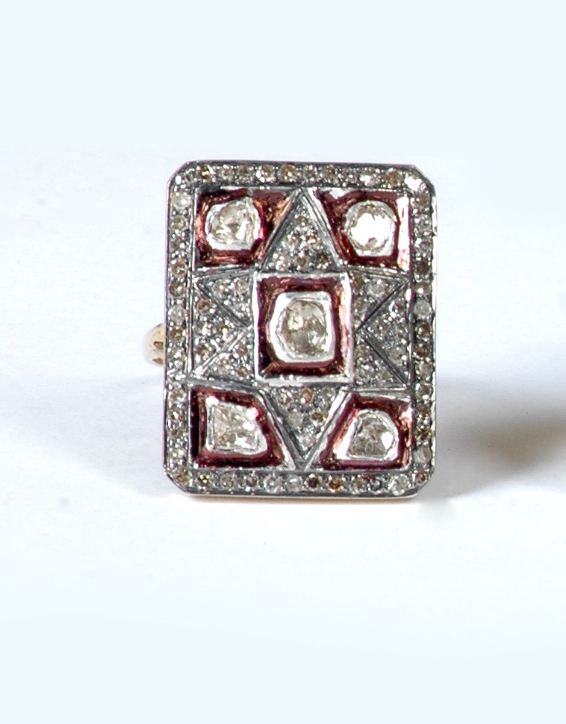 Originally Victorian Jewellery was only for the rich and famous and was mostly created in gold and diamonds. Now U.S.I produce this jewellery in silver also with trendy designs using rose cut diamond, single cut diamond, brilliant cut diamond, precious & semi-precious gem stones and cubic zirconia to suit everybody's need. Whether it is formal gathering, a routine office wear, a fashion statement or simply a gift for any accassoin this antique rings jewellery is ideal to cast that scintillating impression and define the style. 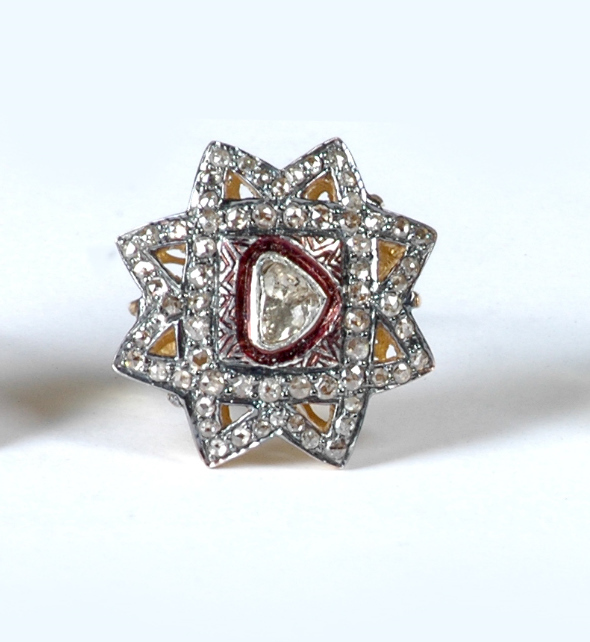 diamond polki, rose cut diamond. 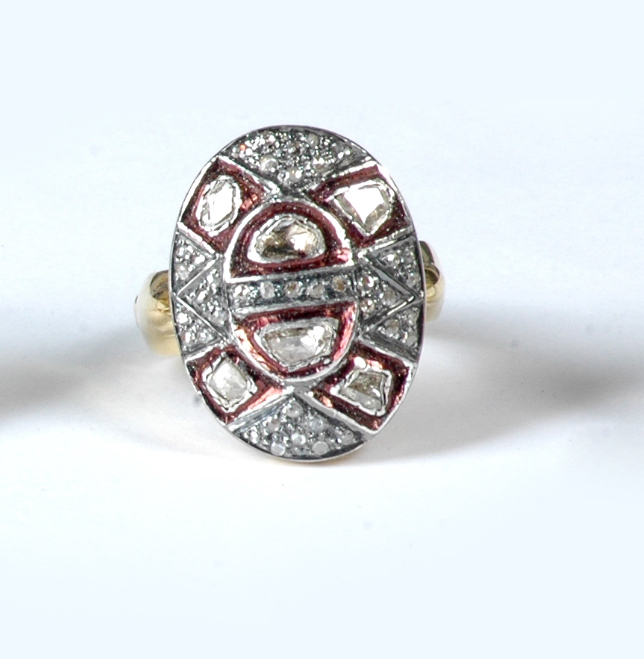 Antique Ring kundan meena jewelry.